Our brief for this project was to provide the client with architectural services in order to help create an attractive, stone-built, single-storey extension which would be sympathetic to the original dwelling. We obtained planning permission via Bradford Council for the main extension, which also allowed for the provision of new windows and doors to the existing dwelling which would match the extension. This was decided upon in order that the two elements, old and new, would compliment one another. Although the extent of the build was relatively minor, we thought it should be added to the website as an example of much of the work we are involved with. 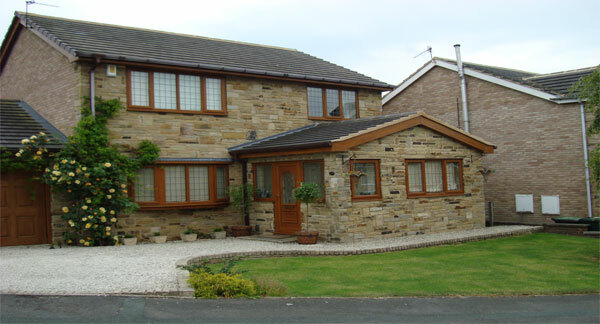 This particular house extension was typical of much of the work we are involved with, in Bradford, Leeds and further afield, and it was treated with the same level of enthusiasm as we treat any project; something which we feel is testament to our company ethos. Upon completion of the works, we felt we had provided the client with an attractive and well considered solution to their requirements.